Skin cancer isn�t just on the rise with humans, but also our pets! My Dog Nose It was created to keep your best friend safe from the environment they love to play and be in! 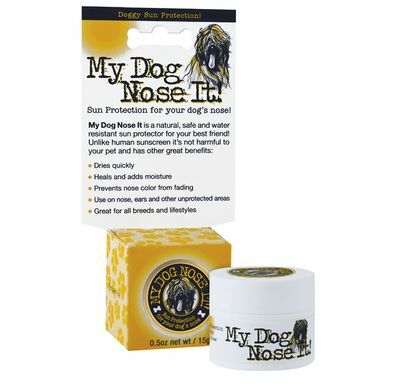 Completely natural, My Dog Nose It acts as a barrier from the sun and environment. This non toxic formula is safe for use on any dog. 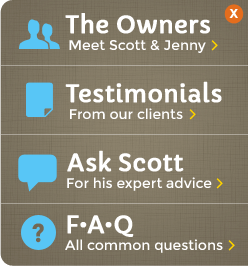 What�s not safe? Human sunscreen! PLEASE don�t use your SPF on your pets as most ingredients are poisonous to animals. 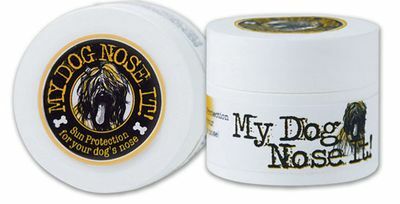 Whether catching a frisbee, learning to heel, or going for a swim, keep your dog healthy and safe with My Dog Nose It!